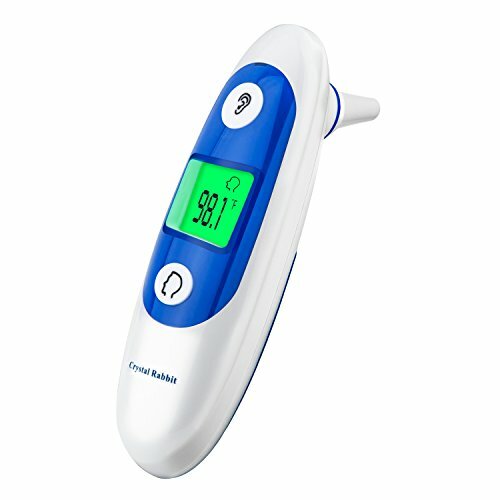 Medical Forehead and Ear Thermometer, Crystal Rabbit Infrared Digital Thermometer Suitable for Baby, Infant, Toddler and Adults with FDA and CE Approved by Crystal Rabbit at Medical Service. MPN: ET-01. Hurry! Limited time offer. Offer valid only while supplies last. If you have any questions about this product by Crystal Rabbit, contact us by completing and submitting the form below. If you are looking for a specif part number, please include it with your message. Essential Medical Supply Sheepette Synthetic Lambskin, 30" x 40"